Many equipment owners associate wheel loaders with being durable, versatile machines because they can withstand long hours of use, transport heavy payloads and operate multiple attachments. As some equipment manufacturers expand their product lineup with smaller wheel loaders, many owners are realizing that smaller wheel loaders can work just as hard as their larger counterparts. Small to midsize wheel loaders provide the best of both worlds — strong, capable machines in a smaller package. 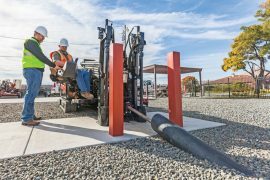 The machines complete load and carry applications without sacrificing maneuverability, have the ability to quickly change attachments and can be easily transported. In addition, some manufacturers now offer hydrostatic transmission-type wheel loaders versus a conventional torque converter transmission, which can deliver more performance at lower engine speeds. By considering five features of smaller wheel loaders and purchasing the smaller models, owners may improve their productivity. 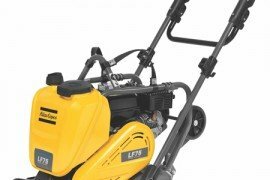 For example, they can match their machines with different attachments for better performance and productivity when working in infrastructure, and commercial and residential building situations. 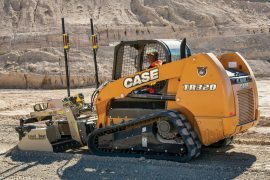 When it comes to working at busy and confined jobsites, many equipment owners need a smaller wheel loader with good lifting capacities, fast cycle times and a short turning radius. Wheel loaders in the 140- to 170-hp size class are ideal for construction and infrastructure markets year-round. An important consideration is choosing a bucket. When selecting a bucket, smaller wheel loaders should be paired with the right size — preferably a 2.6- to 3.7-cubic-yard bucket — to move material and complete more precision-type projects. Time is always a premium, so the faster operators can load and dump material, the better their productivity. In addition, the faster the machine can travel, the quicker the cycle times can be. Other important features of smaller wheel loaders include traction aid devices, such as limited-slip differentials and hydraulic locking differentials, which help deliver superior traction when digging, grading or loading trucks. Traction control modes are available with some models to control wheel slippage for more efficient operation in digging, stockpiling and loading applications. Some small wheel loaders may be equipped with multiple traction control modes, such as max, traction and S-mode. Max: Provides maximum traction force when working in digging and stockpiling applications. Traction control: Displays three levels of reduced traction forces — 90, 80 and 70 percent torque — to match the jobsite conditions. S-mode: Helps when operating on slippery roadway conditions. The traction control mode works well in semi-slippery applications, helping wheels maintain better ground contact. S-mode also provides operators with 50 percent torque at the wheels to easily maneuver in wet, slippery applications. Both modes help decrease tire wear and increase productivity, and can lead to improved fuel efficiency. When working in residential and commercial building jobsites, traction, tread wear and distance are important factors. Owners commonly equip smaller wheel loaders with bias tires, rather than radial tires, because they have thicker sidewalls, giving the machine a stable and smooth ride. The bias tires perform well because they are more repairable and the distances traveled are typically shorter. In common wheel loader applications, an L2 or L3 tread design is recommended for maximum traction, cleaning ability and rock resistance. Small wheel loaders are valuable fleet assets for a number of reasons, but the most prominent reason is their ability to be fitted with loader-specific attachments, including pallet forks, buckets and snow pushers. Pallet forks and buckets can easily be interchanged with the use of quick couplers — an optional feature on most manufacturers’ machines. Additionally, some coupler systems have been designed to eliminate greasing, requiring less maintenance and fewer replacement parts. Some equipment owners may choose a tool carrier iteration with a parallel-lift linkage versus a standard Z-bar configuration. The parallel-lift style provides operators with excellent visibility to the attachment, especially when switching between attachments. Convenient service checkpoints, quality components and extended service intervals can help keep maintenance costs low and daily production schedules moving for smaller-sized wheel loaders. To improve machine uptime and reduce unexpected machine issues down the road, operators should follow daily, monthly and hourly maintenance schedules, based on the manufacturer’s recommended guidelines outlined in the Operation & Maintenance manual. Operators should complete a daily walk-around, checking for obvious machine damage or wear. 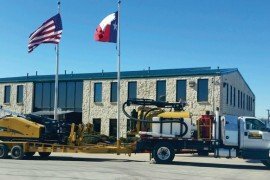 Inspecting fluids, oils and filters, as well as tire pressure, is also crucial in construction and infrastructure applications. 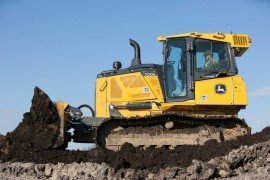 New wheel loaders have been designed with engine after-treatment systems designed to clean diesel engine exhaust and meet the Environmental Protection Agency’s emission standards for Tier 4-compliant engines. While each equipment manufacturer has a slightly different emission strategy, it is more important than ever to follow their guidelines for maintenance and service. 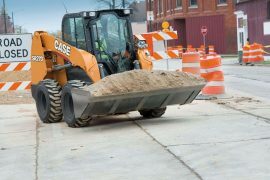 Since smaller-sized wheel loaders work on congested jobsites or in confined spaces, many manufacturers equip their machines with helpful safety features such as a rearview camera, backup alarms and optimal visibility from the cab. Options include machine lighting for operators who work early in the morning and continue late into the night. Other wheel loader options may include hydraulic locking differentials, heated mirrors and emergency steering. Instead of using a traditional transmission, some manufacturers now offer a hydrostatic transmission for the smaller-sized wheel loader class, which provides excellent means of power when variable output speed is required. This type of transmission allows operators to fine-tune the travel speed and can obtain full engine rpm to run hydraulically powered attachments at their optimal efficiency. A hydrostatic transmission consists of an entire hydraulic system: It contains a pump, two hydraulic motors and a gearbox. Power is generated and transmitted by fluid flowing through a specialized system. This type of wheel loader is equipped with a constant velocity (mechanical) gearbox that is connected to two hydraulic motors — a low-speed and a high-speed motor. A variable displacement pump attaches directly to the engine and provides the hydraulic flow to accelerate or decelerate the machine. If more torque is needed, especially in heavy digging applications, both the low- and high-speed motors will receive flow. This provides low-speed, high-torque output from the motors. When the demand for higher torque decreases and speed increases, the system automatically transfers the flow to the higher-speed motor. 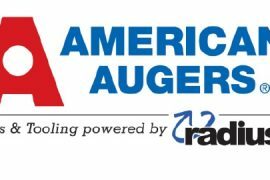 This provides higher speed output with lower torque for improved machine performance. Hydrostatic wheel loaders have several benefits including improved fuel efficiency because of improved performance at lower engine rpms; enhanced machine position control to increase productivity, especially when climbing a pile to fill the wheel loader’s bucket; and low heat development in the digging range. 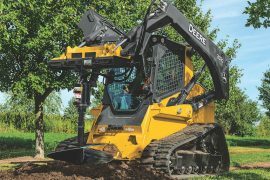 In addition, they have fewer moving parts compared to torque converter transmission-style wheel loaders, which makes servicing the machine easier. Smaller-sized wheel loaders have a variety of advantages, especially when working in construction and infrastructure applications where a larger wheel loader may be too big. By looking at overall performance, versatility, serviceability and safety features, equipment owners can do away with a “bigger is better” mentality and be open to the idea of utilizing smaller wheel loaders. Allison Grettenberg is a writer for Two Rivers Marketing, Des Moines, Iowa. 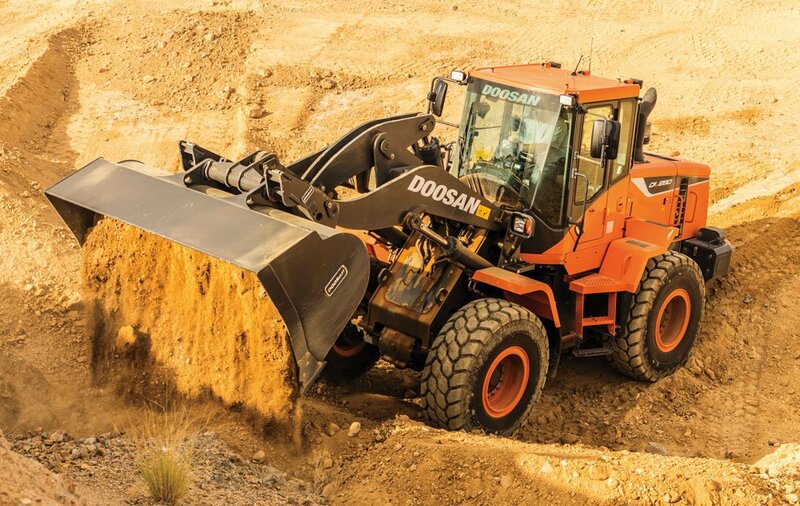 The article was written on behalf of Doosan Infracore North America, LLC, Suwanee, Georgia.